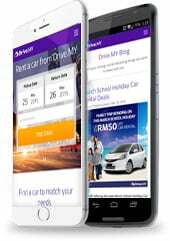 JM Car Rental Malaysia, our proud partner of Drive.MY! JM Car Rental Malaysia was establish in year 2005 the largest privately owned car rental company in Malaysia and take great pride in offering personalized service brand new cars and competitive pricing to our customers. Fleets of well maintained vehicles ranging from economical to well-maintained luxury cars and mpvs, popular top of the range models for Mercedes Benz, Bmw, Toyota, Honda, Hyundai, Lexus, Perodua, Proton etc. We also have a fully equipped in-house workshop which is managed by our team of experienced and well-trained mechanics. Coupled with our team of dynamic operation personal. We provide an efficient and reliable back up service for our customer’s needs and comforts. In addition to these, we also have team of dynamic and well trained sales personal to provide personalized service to our customer, particularly the corporate. Let us take the stress out of driving & parking at the airport for you with a reliable 24 Hour Airport Service. It’s perfect for the business traveler who needs reliable airport transportation.